Please note that the distances will vary between brands of Night Vision devices and other variables. Copper InfraRed LED Module 940nm 1350mW. 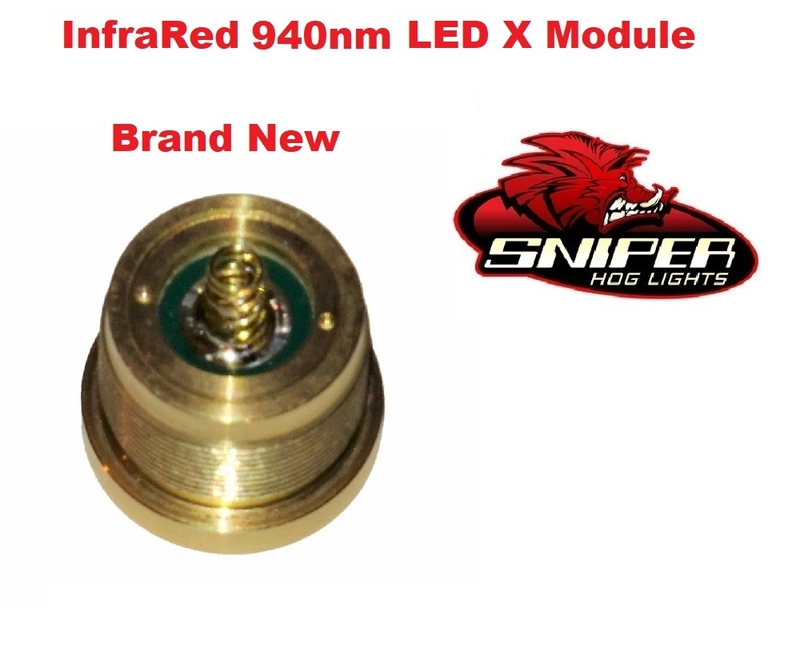 With our 66LR and 66LRX light, this LED module will shine further then any 940nm Infrared light on the market we know of by a long ways. Out to 1200+ yards with GEN 3 night vision. Our 850nm IR LED module will shine further but when you look directly at the IR LED the 850nm IR will have a much brighter red glow to it then the 940nm IR.